Chael Sonnen and Brett Okamoto discuss fighters acclimating to Australia and the challenges Kelvin Gastelum poses for champ Robert Whittaker. Robert Whittaker sits down in the ESPN film room in Melbourne to break down some of the biggest fights of his career. Anderson Silva had one of the worst injuries in MMA history when he broke his leg while fighting for the UFC's middleweight championship. Now, five years later, he details how that night changed his life in both negative and positive ways. Check out Anderson Silva's biggest moments as a fighter in UFC as he prepares to take on Israel Adesanya in Australia. Israel Adesanya praises Anderson Silva for his impact on MMA and adds it'll be an honor to take him out at UFC 234. Robert Whittaker defends his middleweight championship for the first time on Saturday, taking on Kelvin Gastelum in the main event of UFC 234. What statistical categories will identify the fight's determining factors? 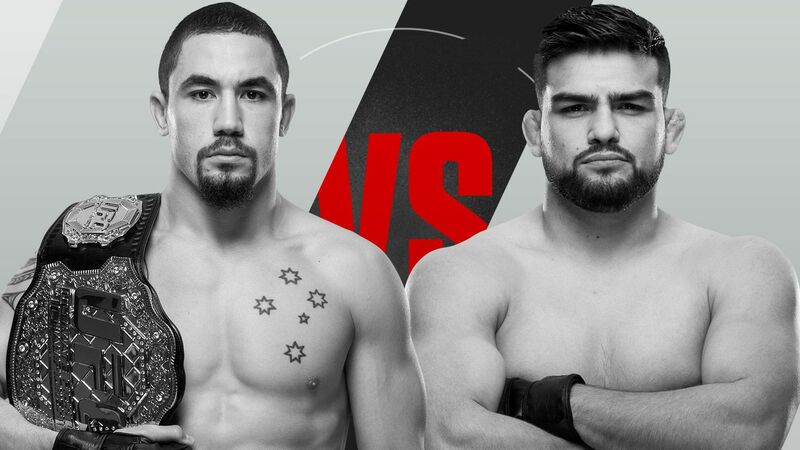 Betting odds for UFC 234's main event favor Robert Whittaker over Kelvin Gastelum. Where does the smart money belong? Israel Adesanya may adorn himself in the New Zealand flag in victory, but Nigeria retains a special place in his heart as he continues the push to take a fight "home" to Africa. Chael Sonnen breaks down what he likes from Israel Adesanya's game that makes him a fighter to watch in 2019. UFC 234 will be the biggest day of MMA in Australia since Holly Holm stopped Ronda Rousey in 2015, yet Israel Adesanya has taken the plaudits for the event selling out in just 15 minutes in a broadside at headliner Robert Whittaker.